The term “super group” was popular at the end of the 60’s. Cream started it back in 1966. But it was Al Kooper’s “Super Session”-album that really opened that can of sardines. The album was recorded at a time when the key players were “between jobs”. Al Kooper had left Blood, Sweat & Tears right after their debut LP. Mike Bloomfield, whom Kooper had worked with in 1965 (on Bob Dylan’s “Highway 61 Revisited”-album and on his infamous performance at the Newport festival) was leaving the Electric Flag. And Stephen Stills’ career had stopped mid air as it was game over for Buffalo Springfield. Kooper had no intentions to start a permanent group. 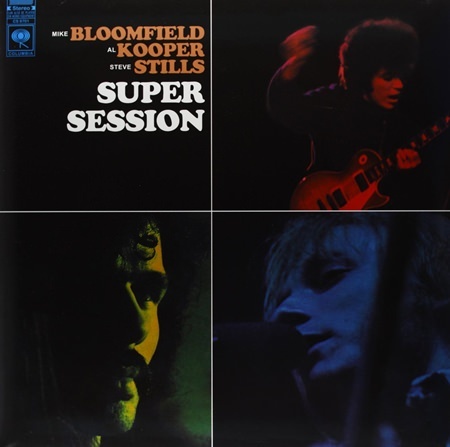 “Super Session” was intended as an experiment, and it was to be created around the powerful blues guitar playing of Bloomfield. Kooper wanted it to be fresh and unpredictable, just turn on the groove, let Bloomfield fly and see what happens. An album of jamming. That was the only plan. Bloomfield said OK, so Kooper booked a studio for two days and hired some musicians, two of Bloomfield’s colleagues from Electric Flag plus drummer Eddie Hoh. On the first day this line-up recorded what was to become the album’s first side. Five extraordinary instrumentals – all anchored in the electric blues, but with the odd glance towards jazz. A fusion that both Kooper and Bloomfield were familiar with from the bands they recently had been involved in. Bloomfield’s guitar rules on these tracks, but there’s also some phenomenal dialogues evolving between guitar and keyboards. And behind them the sterling rhythm section is cooking, transcending most of what you could hear in 1968. On the second day everything went wrong. Bloomfield simply didn’t show up. That left a highly frustrated Kooper with two choices, postpone the whole thing, or find a replacement at that very instant. In desperation he called Stephen Stills. Stills, bless him, agreed to help his friend out, and thus the album could be completed. The second side contains recordings from day two. Kooper had to re-adjust of course. Stephen Stills was no slacker on guitar, but no way could he fill Bloomfield’s shoes. His musical background differed too, he had very little in common with Electric Flag. Kooper’s plan B put himself up as vocalist. He decided they’d do cover versions of familiar songs, but keep the element of jamming. This was simply done by starting the song, do a couple of verses, clear the space for improvisations, and then return to the song at the end. This way they didn’t risk ending up in blind alleys. They always knew where they were heading: For the redemption of that last refrain. This worked especially well on the 11 minute “Season Of The Witch”. Although the Bloomfield-side is the most impressive and satisfying of the two, “Season Of The Witch” is clearly the album’s outstanding track. This Donovan song from 1966 with its hypnotic time pattern and minimalistic melody, absolutely begs to be covered. In addition to the “Super Session”-version there were just as successful, but very different versions available from both Vanilla Fudge and Julie Driscoll at the time. In September 1968 Kooper tried to put the Bloomfield part of the show up on a live stage, at the Fillmore West. It went well on the first night, but then Bloomfield did his disappearing act again. Kooper was not amused of course, but he managed to get excellent replacements in Carlos Santana and Elvis Bishop. 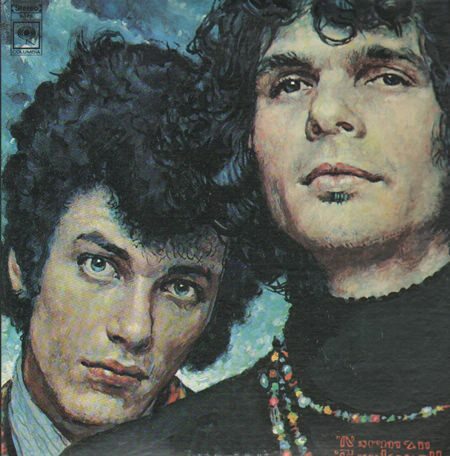 Tracks from the concerts were compiled for the double album “The Live Adventures Of Mike Bloomfield And Al Kooper”, released in 1969. I recommend that set as well. It is just as good, and on some tracks even better.